NEW YORK (AP) — Whether or not Republicans ultimately confirm President Donald Trump’s Supreme Court nominee, some on the front lines of the GOP’s midterm battlefield fear the party may have already lost. In the days after a divided nation watched Brett Kavanaugh and his accuser Christine Blasey Ford deliver conflicting stories about what happened when they were teenagers, Republican campaign operatives acknowledged this is not the fight they wanted six weeks before Election Day. Should they give Kavanaugh a lifetime appointment to the nation’s highest court after Ford’s powerful testimony about sexual assault, Republicans risk enraging the women they need to preserve their House majority. Vote him down, they risk enraging the party’s defiant political base. In swing state New Hampshire, former Republican Party chair Jennifer Horn said Republicans are “grossly underestimating the damage that would be done” at the ballot box in the short and long term should they confirm Kavanaugh. Horn, a lifelong Republican and frequent Trump critic, described Ford as “the most credible person I have ever seen publicly talk about this.” One young friend of Horn’s family was so inspired by the testimony that she revealed her own painful experience with sexual assault on social media for the first time Thursday. “Republicans have to ask themselves if they’re willing not only to sell the soul of the party, but sell their own souls to get this particular conservative on the Supreme Court,” Horn said in an interview. 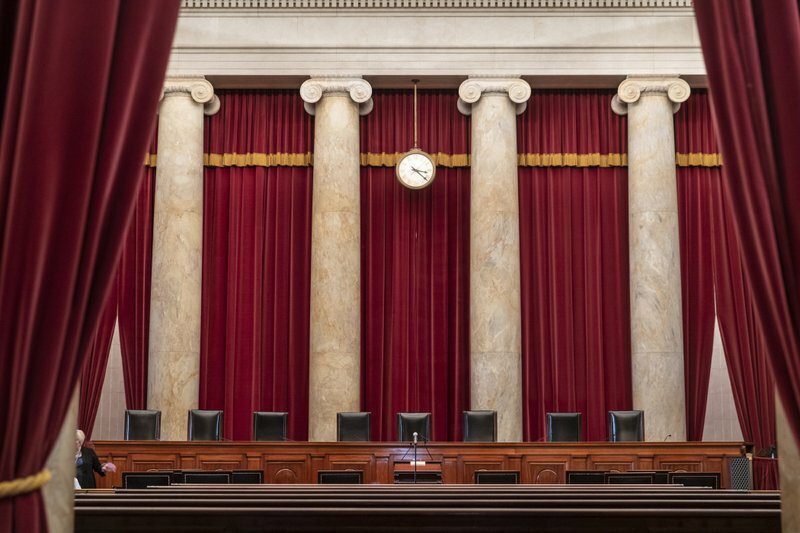 Another wing of the party was just as convinced that Republicans would trigger Election Day doom should they fail to confirm Trump’s Supreme Court pick. “If Republicans do not get this vote taken and Kavanaugh confirmed, you can kiss the midterms goodbye,” conservative icon Rush Limbaugh boomed from his radio studio this week, a message that Trump echoed on Twitter and Republican strategists repeated privately on Friday. In what has become the year of the woman in national politics, there are no easy answers for a party aligned with a president who has dismissed more than a dozen allegations of sexual misconduct of his own. The GOP-controlled Senate Judiciary Committee voted along party lines Friday to send Kavanaugh’s nomination to the full Senate, with the informal understanding that the FBI would investigate the allegations against Kavanaugh. A final vote would be delayed by a week. Sen. Jeff Flake of Arizona crystalized the challenge before the GOP. After announcing his support for Kavanaugh early Friday, he was confronted by tearful victims of sexual assault as he tried to board an elevator in the U.S. Capitol. The balancing act reflects the impossible politics ahead for some Republican candidates, particularly those in swing states and suburban House districts. McSally has come out as a survivor of sexual abuse at the hands of her high school track coach. At the same time, she has strongly embraced Trump and his combative ethos, which Kavanaugh exemplified during his Thursday testimony. She indirectly criticized Trump last week after he questioned why Ford didn’t report her assault decades ago. “A lot of people who have not been through this — thank God they have not been through this — don’t understand that a lot of us don’t immediately go to law enforcement,” McSally said. Two key Republicans — Alaska Sen. Lisa Murkowski and Maine Sen. Susan Collins — have also avoided taking a firm position so far. Neither is up for re-election this year, yet both are facing intense political pressure from the right and left back home, with the potential that aftershocks from their votes could be felt for years to come. Cindy Noyes, a registered Republican in Maine, attended public schools with Collins and usually agrees with her. But not if she backs Kavanaugh. “It’d be hard for me not to support her, but I really, really, really encourage her to vote against him,” Noyes said of Collins, who doesn’t face re-election until 2020. In Alaska, Juneau voter Sally Saddler, an independent, said she voted for Murkowski in the past, but likely wouldn’t back her again if the Republican senator decides to confirm Kavanaugh. Murkowski also faces the prospect of a primary challenge from the right should she break with her party. That potential has already convinced Anchorage Republican Women’s Club president Judy Eledge to consider supporting a Murkowski primary challenger in 2022. “I would support the other person, and I think there’s a lot of other people that would,” she said. Republican candidates in states Trump won overwhelmingly in 2016 have been far more eager to follow Trump’s lead on Kavanaugh. Meanwhile, some vulnerable Democratic incumbents like Indiana Sen. Joe Donnelly and Montana Sen. Jon Tester announced Friday they would stick with the Democratic minority in opposing the nomination. Others, including Democratic Sens. Heidi Heitkamp of North Dakota and Joe Manchin of West Virginia, remain undecided. Evangelical leaders in contact with the White House have quietly launched an influence campaign designed to rally 1.5 million evangelical voters behind Kavanaugh across five key states: Missouri, Indiana, West Virginia, Florida and North Dakota. The campaign features a video on social media and a series of direct text messages. Republicans are on their heels in the nation’s suburbs, the region that features the most competitive House races. GOP Rep. Leonard Lance, running for re-election in a suburban New Jersey district Trump lost in 2016, was forced to backtrack this week after being caught on tape questioning Kavanaugh’s accusers. After Ford’s testimony, he endorsed calls for an expanded FBI inquiry. Democratic challenger Tom Malinowski says the issue goes beyond whether Kavanaugh should be on the court. “It’s precisely that tendency to dismiss accusers of powerful men that makes it hard for survivors to make what is already a wrenchingly difficult decision to come forward,” Malinowski said in an interview, adding that it’s particularly important for male politicians to speak up instead of leaving all the difficult votes to women. 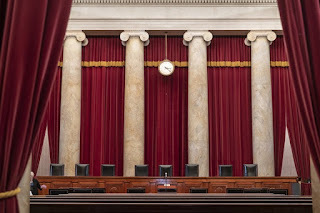 Republicans are betting that Democrats are already so motivated by their opposition to Trump that the Supreme Court fight won’t make much difference, said Republican pollster Ed Goeas. Most off-year elections are decided by which side is more energized. Most polls suggest that Democrats have a distinct advantage on that front. “All Republicans can do is close that gap at this point,” Goeas said. Associated Press writers Bill Barrow in Atlanta, David Sharp in Portland, Maine, Nick Riccardi in Denver, Becky Bohrer in Juneau, Alaska, Mark Thiessen in Anchorage, Alaska, and Thomas Beaumont in Washington contributed to this report. 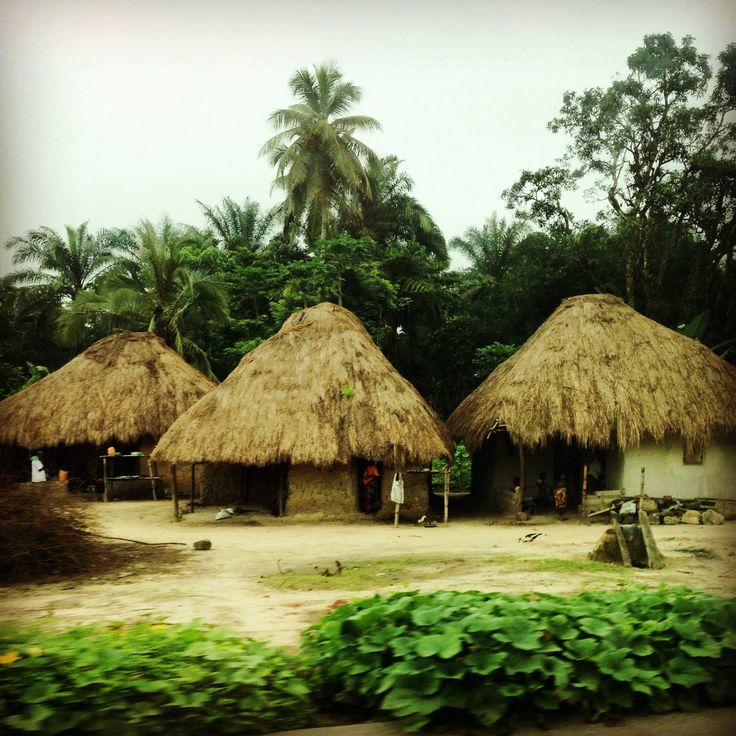 AWKA, ANAMBRA (INDEPENDENT) -- The bullet-riddled body of Chief Frank Igboka, former Chief Whip of the state House of Assembly, was all policemen of the Anambra State Command, met by the time they responded to the shattering sound of gunfire ripping through the stillness of the night at Nimo, a village a few minutes drive to Awka, capital of Anambra State on Tuesday. 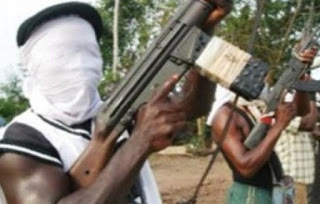 Igboka a renowned athlete and the President General of Nimo community in Njikoka Local Government Area, was reportedly eventually felled at about 8:18 p.m. after series of attempts on his life by suspected assassins. The former lawmaker, who is reported to have about 30 medals in his kitty for his athletic prowess, was said to have been killed by unknown gunmen while driving to his house, located a short distance to the scene of the crime. 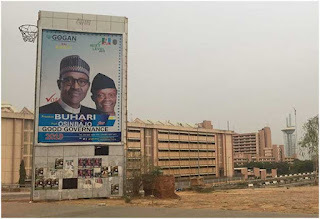 Under Buhari’s first elected term, CPJ documented detentions, assaults, and harassment of the press. 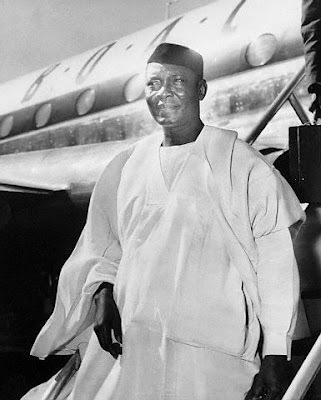 In one particularly grave case, Jones Abiri, editor of the Weekly Source, was detained without charge in 2016 and denied contact with his family or a lawyer, for over two years. 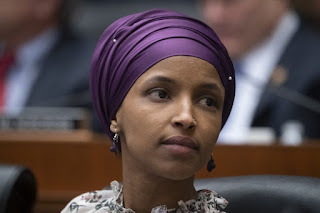 Her statement late Sunday followed an announcement by House Speaker Nancy Pelosi that she has taken steps to ensure the safety of the Minnesota Democrat and the speaker’s call for Trump to take down the video. 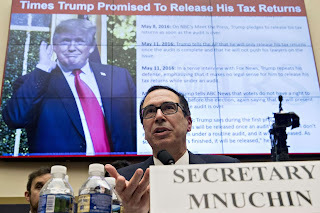 CAPITOL HILL (WASHINGTON POST) -- House Democrats are giving the Trump administration a hard deadline of April 23 to turn over President Trump’s tax returns, pushing back against Treasury Secretary Steven Mnuchin’s skepticism over their request for the private records. Rep. Richard E. Neal (D-Mass. ), chairman of the House Ways and Means Committee, on Saturday sent a two-page letter to IRS Commissioner Charles Rettig rebuffing Mnuchin’s statement earlier this week that Treasury would miss House Democrats’ initial April 10 deadline for the returns. Mnuchin’s concerns “lack merit,” Neal wrote. WASHINGTON (AP) — Global finance officials are pledging closer cooperation in efforts to lift the world economy out its current slowdown, but tensions persist on a number of fronts between the United States and other nations over trade and other issues. Officials wrapped up the spring meetings of the 189-nation International Monetary Fund and the World Bank on Saturday, expressing hope the slowdown that began last year will be followed by stronger growth in the second half of this year and into 2020. 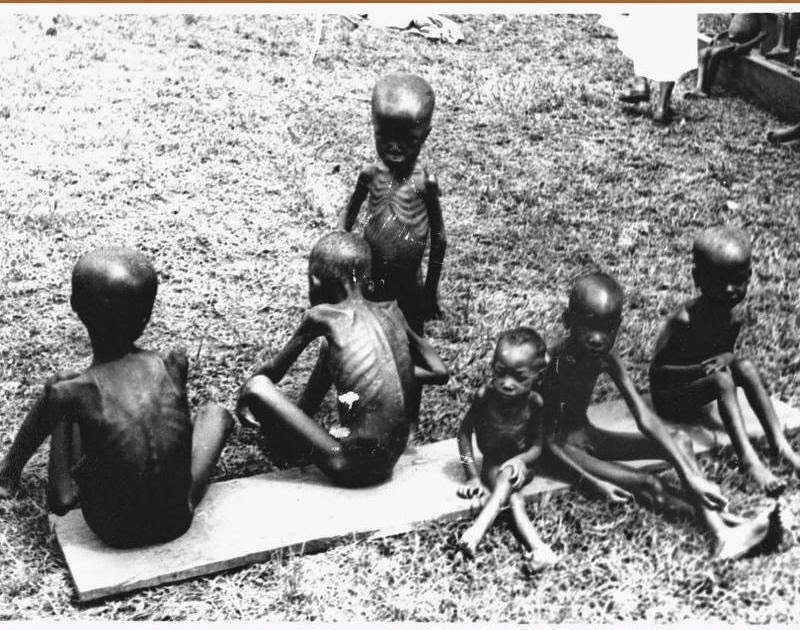 CHIBOK, BORNO, NIGERIA (CNN) -- On 14 April 2014, Boko Haram, the violent extremist group operating in the Lake Chad region, abducted 276 girls from their school dormitory in north-eastern Nigeria-- an incident that catapulted the group to global attention. Astonishingly, 57 of the girls managed to escape en route, but the group would eventually confine 219 of them in Nigeria's vast Sambisa forest, its base since 2009. The administration of Nigeria's President Jonathan initially denied the atrocity had happened, which fed the outrage from which the #BringBackOurGirls movement was born. 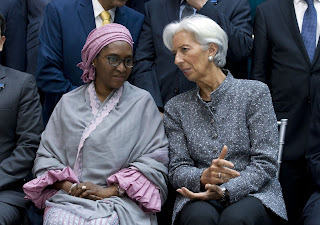 A resistance led by Nigerian women and fueled by social media, the campaign brought unprecedented international attention to the girls' plight. LOS ANGELES (THE LOS ANGELES TIMES) -- Sen. Kamala Harris of California drew some of the most powerful players in Hollywood to her recent reception at the Pacific Palisades home of filmmaker J.J. Abrams of the “Star Wars” franchise. Television producer Shonda Rhimes, actress Elizabeth Banks and music giant Quincy Jones were among the guests enjoying hors d’oeuvres and drinks under a full moon. 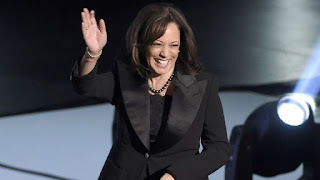 Harris, who lives in Los Angeles, has emerged as the entertainment industry’s early favorite in the swelling field of Democrats running for president, according to some of the party’s top Hollywood fundraisers. (THE GUARDIAN) -- Long before the Europeans and what is today known as the western civilization came to West Africa, the Ekoi (Ejagham) people in present-day Nigeria had developed a unique form of ideographic writing called Nsibidi. Author P.A Talbot who lived during the colonial times described it as "a kind of primitive secret writing" which was communicated on "cut or painted on split palm stems". 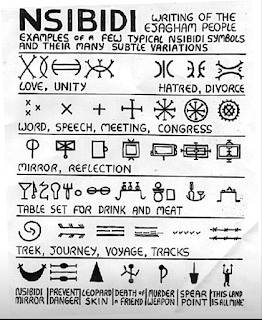 However, historian and Revered J.K Macgregor's in his work, Some Notes On Nsibidi likened it to an ordinary writing. "The use of Nsibidi is that of ordinary writing. I have in my possession a copy of the record of a court case from a town of Enion [Enyong] taken down in it, and every detail ... is most graphically described". LAGOS, NIGERIA (CNN) -- The UK government and Nigeria's anti-trafficking agency launched a new media campaign to prevent women and girls from being exploited and sold into modern-day slavery. The Department for International Development (DFID) said the 'NotForSale' campaign aims to encourage Nigerians to find jobs at home instead of risking their lives to travel to foreign countries in search of work. 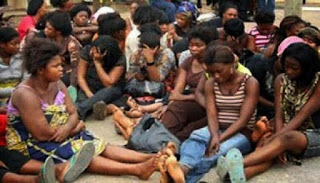 DFID said it was committed to ending human trafficking for all nations, and it was working with the UK National Crime Agency and the Nigerian government to tackle the "root causes of dangerous migration," while preventing vulnerable women and girls from being targeted by traffickers.